Water quality has a huge impact on GSHP service life and efficiency. Unfortunately, most systems are filled with whatever water is available on site with little or no attention to its suitability for use. In fact, water quality is the root of many issues, including the premature failure of mechanical components. It goes without saying that if you aren’t already paying attention to water quality, it’s time to start. Water treatment can be divided into two categories: physical and chemical. Physical water treatment consists of the removal of air, dirt and suspended solids from the circulating fluid. Chemical treatment consists of the modification or elimination of substances in the water to make it suitable for contact with the various components in the system. Every geothermal system will start out with air in it. A new system will also have certain amounts of dirt, oil, pipe shavings, and other debris as a byproduct of manufacturing, transport, and installation. The majority of air removal is done with power flushing prior to system startup. Dirt removal is done simultaneously with a filter during power flushing1. Geo-Flo recommends filtration to 100 microns during the flushing and purging process. Once air is purged from the system, a finer 1-micron filter will remove sand, silt, and clay from the circulating fluid. Failure to remove air and debris from the piping system will cause service-related issues and even shorten the service life of the circulating pumps and other related components. Permanently-installed mechanical devices can provide ongoing levels of physical water treatment, but keep in mind that they will need to be cleaned periodically. Although air and dirt removal is essential, physical treatment doesn’t affect water chemistry. Water is commonly referred to as the ‘universal solvent’. It is always full of dissolved minerals, sediment, dissolved gasses, etc., and the amounts vary from place to place. If left unchecked, poor water chemistry can lead to corrosion, scale, fouling and biological growth, which affects system efficiency and service life and becomes a human health and safety concern. Treatment may include the removal of chemical impurities, pH value adjustment, or the addition of antifreeze, corrosion inhibitors, microbial control products, etc. The process of cleaning an internal piping system is fairly straightforward. Simply circulate a cleaning solution (detergent) through the piping to remove dirt, oils and other impurities. After the process is complete, the system will need to be completely drained and washed with clean water prior to being filled with loop fluid. By removing impurities from the system on the front end, it will be easier to achieve the desired level of water quality later on. Note that internal cleaning is uncommon in residential applications. One option to address water chemistry is to simply add inhibitors to prevent corrosion, scale, biological growth, etc. The inhibitor manufacturer will provide guidelines to determine proper concentration levels, handling and safety requirements, etc. For heating dominant systems that use antifreeze, additional inhibitor is typically unnecessary as most antifreeze products are are pre-mixed with the necessary inhibition agents. Rather than adding chemicals to available water on-site, another option is to purchase treated water (or a premixed water-antifreeze solution) from a water or chemical treatment company, haul it to the jobsite and completely replace the water in the system with the pre-treated fluid. This is the easiest way to guarantee that water quality will not be an issue, but also the most expensive. In general, it is best to refer to the manufacturer of each component in the system to determine water quality requirements (pH level, dissolved solids, turbidity, chloride levels, etc.). If guidelines aren’t readily available, Section 3B in IGSHPAs Design and Installation Standards manual will serve as a great starting point. The most relevant measure of water quality is dissolved mineral content.2 In general, the use of de-mineralized fill water will alleviate the majority of issues related to scale and corrosion. The circulating fluid should be tested periodically to check pH, turbidity, suspended solids, antifreeze and inhibitor levels, etc. 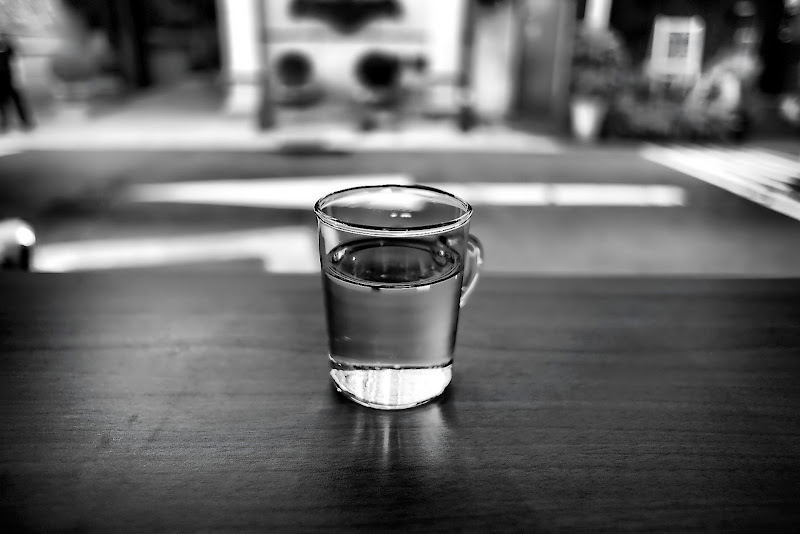 IGSHPA recommends that water quality be checked at least once a year in a commercial system and once every five years in a residential system. By comparison, GSHP systems are more forgiving than other HVAC system types when it comes to water quality, primarily because most of the piping in the system is the ground loop, which is constructed of inert plastic (polyethylene). But poor water quality will wreak havoc on pumps, heat exchangers, valves, and other mechanical devices in the system. As such, water chemistry always needs to be addressed. According to ASHRAE, 2 ft/sec is the recommended velocity to remove air and light debris from a piping system. However, this velocity is not enough to remove large or heavy particles and additional filtration is recommended. Refer to Idronics #18 for additional information.